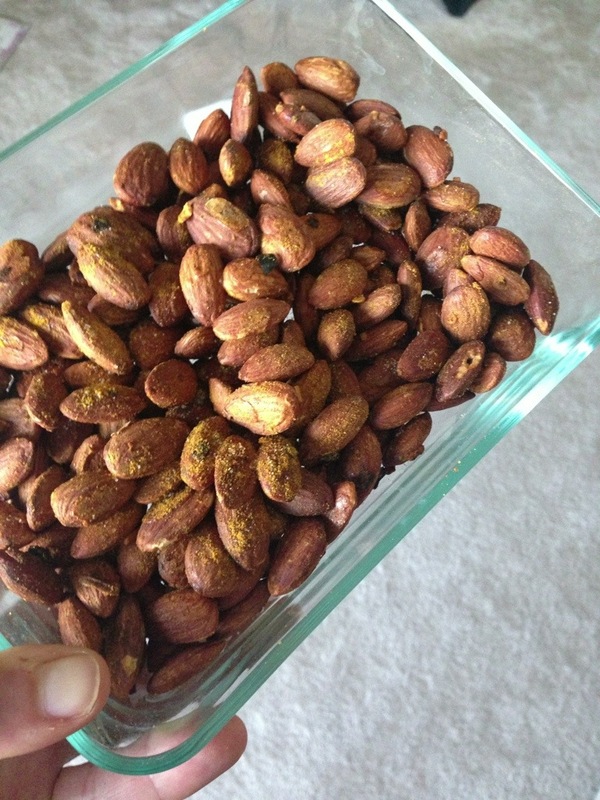 Try these curry spiced almonds for a flavorful and satisfying snack. 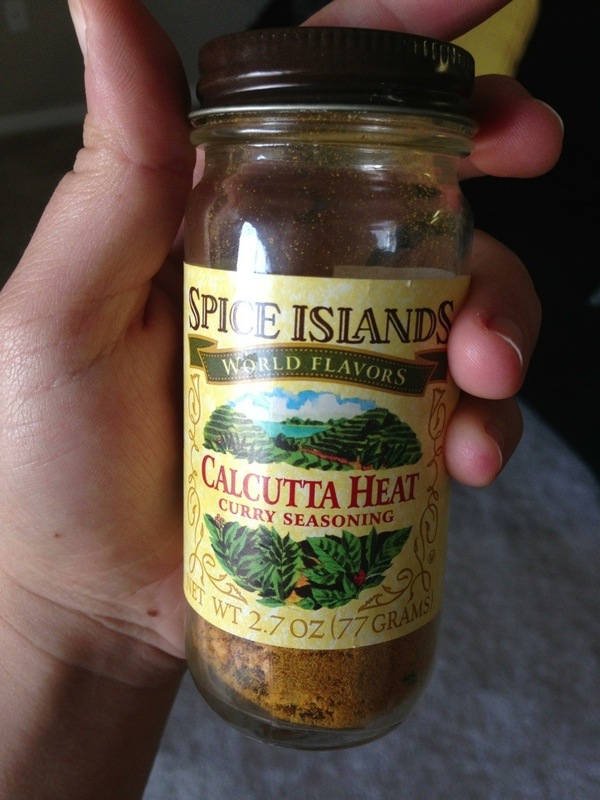 I used Calcutta Heat Curry Seasoning, but you can try your own flavor combination. Next time I’ll try smoked paprika, Frank’s Red Hot, or cinnamon. 2. Toss 2 cups of almonds with 1 egg white or 2 tbs olive oil in a mixing bowl. Add seasoning (about 2 tbs or to taste) and stir to coat. 3. Spread almonds in a single layer on a lightly greased baking sheet. Bake for 10 mins, stir around, and bake for up to 10 mins more. These can be stored in an airtight container in the fridge for a couple of weeks. Measure out 1/4 cup (or 28 grams) for a snack. Enjoy!